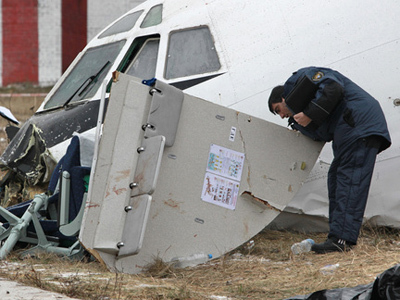 Forty-four people have died in a plane crash in north-west Russia. Another eight have been taken to hospital with serious injuries, with five of them having arrived in Moscow for treatment. 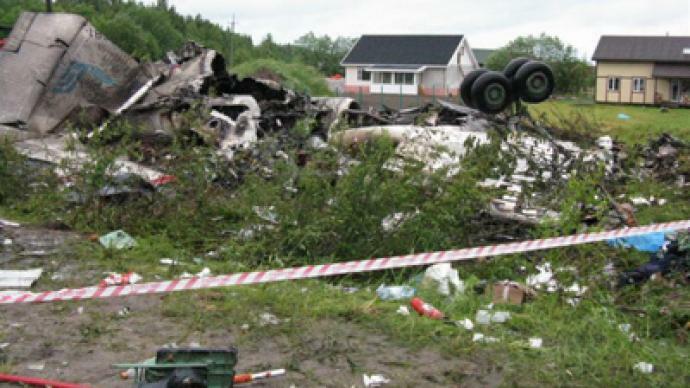 ­Seven plane crash victims from the Republic of Karelia were identified on Tuesday evening. One person is listed as injured. The RusAir Tupolev Tu-134 passenger plane crashed near Petrozavodsk, the capital of the Republic of Karelia. The incident happened early on Tuesday. The aircraft came down on a highway some 2km from its destination airport. Eight people, including two children, have been saved from the burning debris. All have been taken to hospital in a state of shock with burns and multiple injuries. "We have received six patients with burns and physical trauma. Men, women and a 16-year-old girl. Four of them are in a critical condition. We're doing what we can. It's too early to make any prognosis," Elissan Shandalovich, chief doctor at the hospital said. The initial rescue effort was launched by the witnesses, who happened to be near the crash site. "I carried three people out of the wreckage. One was either a girl or a woman, I could not tell but she was lighter than the man – it was hard to see, it was dark. Then there was a man, he also wasn’t heavy, he was lighter than me. Myself and another person, Father Andrew, also carried out a big man called Sergey. There was a third person helping us…" a witness said. “Then we carried out two more people from the wreckage in the middle of the road. Another man reached out his hands towards me but I couldn’t make it to him – everything started exploding – I could not get any closer – everything was engulfed by fire. I’m sorry…” he added. The two children who survived the crash are Anton Terekhin and Anastasia Terekhina, brother and sister, according to an Emergencies Ministry list. Their mother, Oksana Terekhina, also survived. The other survivors on the list are Anna Nazarova, Sergey Belgeisov, Vladimir Stepanov, Aleksandra Kargopolova and Yulia Skvortsova. The latter is a flight attendant and the only crew member who was not killed in the incident. Five of the eight injured have been transferred to Moscow in special aircraft-mounted medical capsules; the condition of three of them is still critical. Nine-year-old Anton and Moscow resident Belgeisov are in such a bad condition that they cannot be safely moved. Kargopolova, who has moderate injuries, will be treated in Petrozavodsk, since it is much closer to her home city Kondopoga than Moscow is. The other 44 people out of the 52 on board were killed. One of those who died was Swedish rescue worker Jacob Vetterut; another was Alerds Hans Gunter from the Netherlands, according to the Emergencies Ministry. Two victims, Vagram Simovyan and Kristina Onishchenko, were Ukrainian. The Simanovs, a family of four who had dual Russian-American citizenship, were also killed. The rest of the passengers were Russian citizens. Also among the dead are five officials of Russia’s top energy companies – director of Gidropress Sergey Ryzhov, deputy director Nikolay Banyuk, the company’s chief engineer Nikolay Trunov, manufacturing engineer of the Constructing Bureau n.a. Afrikantov Andrey Trofimov and the executive manager of Atomenergomash Valery Lyalin. All five were heading to Petrozavodsk for a work briefing. One of Russia’s top football referees, Vladimir Pettai, also died in the crash, as he was returning home. All the bodies have been recovered from the debris. The remains of many of the victims are in a bad state. A DNA test will be needed to identify 33 of the bodies, a source in the administration says. Karelia’s administration is preparing to receive and house some 100 relatives of the passengers of the flight, who have already started arriving in the region. A special plane from Moscow will bring the relatives of the dead and injured from other regions of Russia and from abroad on Wednesday. A team of psychologists will try to help them deal with their loss. The republic’s head, Andrey Nelidov, announced that the families of the victims will receive aid amounting to about US$35,000. Survivors will receive half of that sum. A similar move was announced by the government of Moscow. The city will also cover funeral expenses of the affected families. Moreover, RusAir has announced it will pay up to two million rubles (some $71,000) in compensation to each of the families of the people killed in the accident and 500,000 rubles (around $17,000) to the survivors. Karelia has also declared a three-day mourning period for the victims of the crash, starting on Wednesday. The mourning interferes with the planned celebration of the Day of the City in Petrozavodsk, but the administration expects that everybody will understand and support the move. There could have been more victims in the incident because the Tupolev crash-landed close to a number of houses next to the highway. 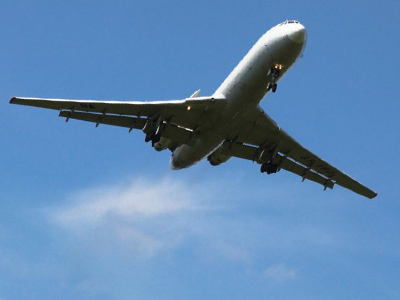 Still, the area is without electricity, as the plane, while coming down, damaged the high-voltage power lines, which caused a blackout not only at the runways and the airport itself, but also in the airport’s neighborhood. An investigation has been launched by the authorities, with human error and bad weather currently seen as the main preliminary causes of the crash.